If you want a change from popular vintage and rustic wedding themes, why not give watercolours a try? It’s the perfect scheme for any ocean view beach wedding. If you’re lucky enough to be tying the knot in one of the beach or hillside private villas on Thailand’s most famous islands, then you’ll be blessed with the chance to create your very own bespoke decorative scheme. While rustic and vintage have dominated weddings celebrations for the past several years, the idea of a watercolour wedding is now taking hold. Not only is the décor super pretty, it also has a sophisticated feel and provides the perfect complement to a seaside ceremony. To keep the theme consistent throughout your wedding, its easy to include a selection of ideas – from invitations through to table dressings. Below is a little artistic inspiration. When you’re putting together a wedding theme, it’s worth getting things right from the start so you can maintain a consistent look throughout the build-up and celebration itself. 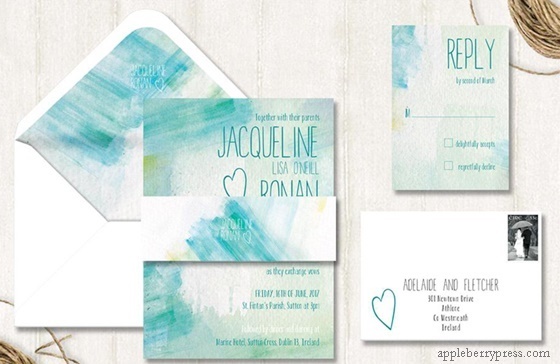 Watercolour invitations in stunning shades of blue and aquamarine are reminiscent of sparkling Thai oceans. Of course, you don’t have to go with turquoise colours for your watercolour theme. Bright pastel shades that match the tropical Thai sunset will work just as well. 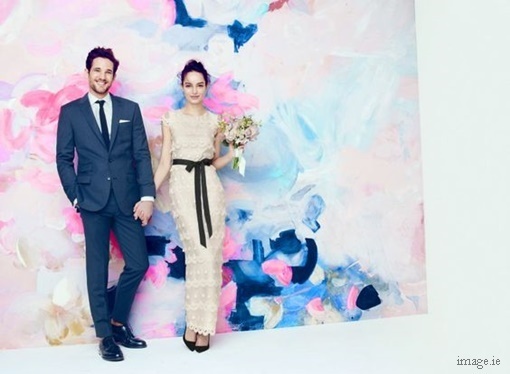 If you’re considering setting up a photo backdrop for guests to pose in front of at your wedding, then why not go watercolour? As well as creating a sensational focal point and adding a strong splash of colour to your wedding album, a watercolour backdrop will also infuse extra wow factor. Some brides and grooms go to town with the colours in their watercolour backdrop, which features shades ranging right from royal blue through to pretty pastel pink. The beauty of designing your own photo backdrop is that you have the freedom to create whatever you like, so be creative! Whatever decorative scheme you’re keen to create, the key to success is that less is more – this applies to watercolour weddings, too. If you’re trying to make your table dressings work, then consider a stunning but simple watercolour runner and co-ordinating floral centrepieces. If you go for too many decorative items with the same effect, your theme could end up looking too busy. 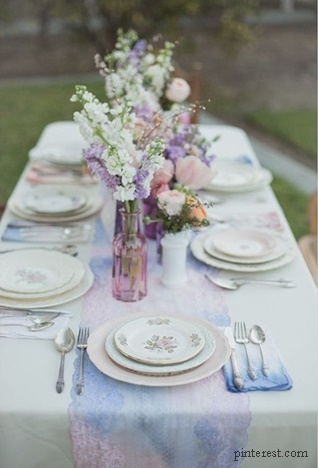 How about pairing a runner with pretty watercolour faded napkins to produce a wonderful effect? When you’re planning your wedding’s decorative theme, it’s vital to give some thought to how it’ll translate once night falls. 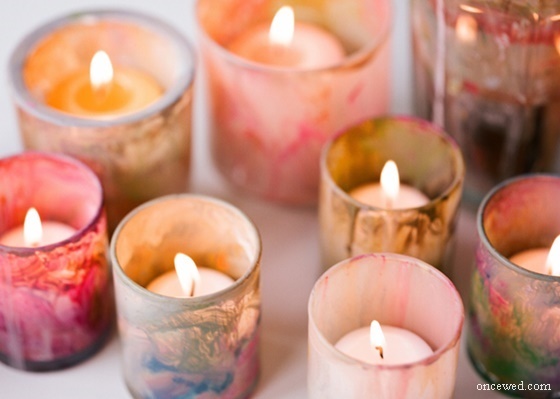 Fairy lights and candles are a great idea and you can even place each candle within a simple glass holder that’s painted in watercolour shades. If you’re keen to create your own decorations DIY-style, then why not give it a go? You’ll need to pick up a palette of specialist paints, but once you’ve got the knack for the colourful look you want to create, you’ll be left with a striking and unique set of decorations. A wedding cake is one of the most time-honoured traditions of a Western wedding ceremony, and historically, people have tended to go for smooth white icing to reflect the colour of the wedding dress. However, plenty of brides and grooms today choose to break with tradition and opt for some quirkier designs – including watercolours. 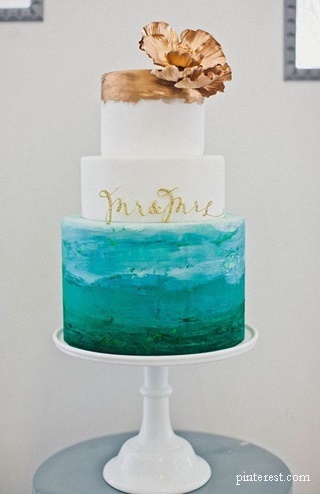 A gorgeous three-tier cake with the bottom level reminiscent of a dreamy Monet painting is a great idea, especially with gold flourishes to provide a wonderful contrast. Whether you want to go with blues and jades or warm amber and pink, watercolour cakes are definitely something special that won’t fail to impress your guests.